Just look at the ‘swing’ this bike has! Really like the MAC and would love to keep this one, it’s really cute…BUT, I have a ‘mission’, and that is to do a restoration online, for whatever reasons. 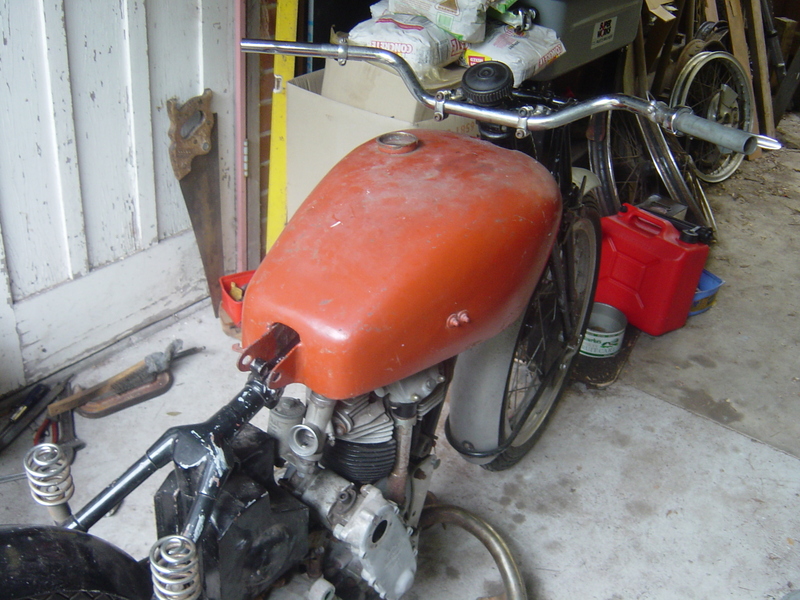 This beauty of a bike is just too good to start doing a full restoration on! It runs fine, looks good and will, no doubt, give its new owner many years of loyal service and great pleasure. 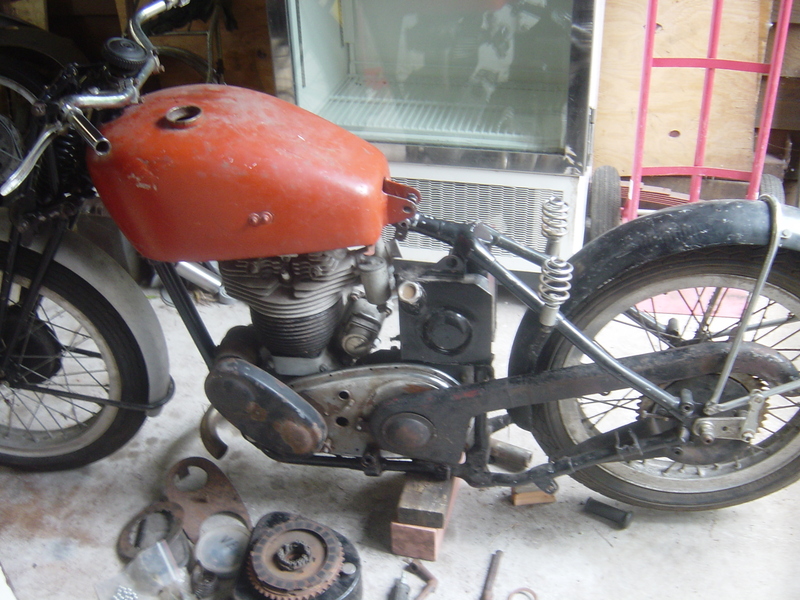 How things change…I must move on to other, rustier, things and I have ‘come across’ a number of alternatives…the most tempting of which is another Velocette, this time in ‘just the right’ condition, so almost all there and very much in need of TLC. Not just any old Velo, though… This one is a so-called ‘cammy’ Velocette, a 1937 KSS, which is a 350 but with a single overhead cam instead of pushrods. 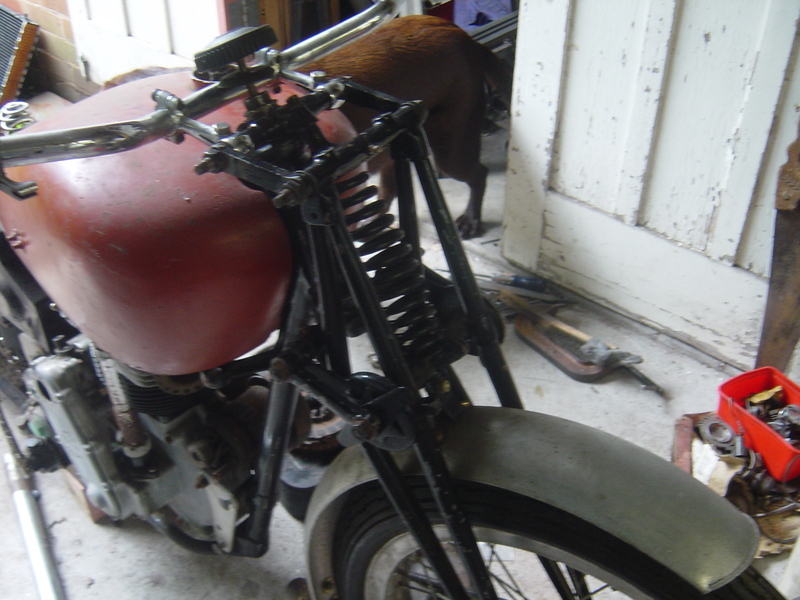 The frame is a bit different to the MAC, being the same as the one for the prewar MSS, its bigger, 500cc, pushrod brother. Now THAT’s a bit more like it! Not quite a pile of bits, but that wouldn’t take long to organise! The main thing is that it really does need a lot of attention and that the difference between ‘before’ and ‘after’ will be easily discernible, even to the ‘untrained’ eye. The scale of the bike is also only just a tad larger (physically) and so better fitting to my own frame for long-distance comfort (which I will need on the long journey that is intended at the end of the refit). Being an ohc-job, it is a bit more expensive than the MAC (even in this condition, which is really not that bad! ), which is why I have to sell it to make way for this project… More of that later!